One of my habits – some people like it some don’t is to include at the beginning of every training some personal development info tailored to the audience. I am not a specialist in Law of Attraction but I am asked in many situations about it. I am a user of LOA as everybody else just that I am aware of the way it really works and how can we use it to work for us and not against us. 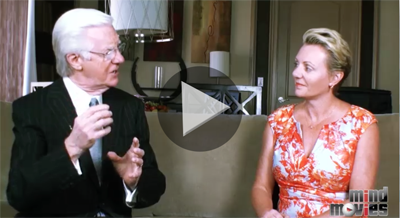 As I am connected with most (good) personal development coaches, trainers and teachers I’ve found yesterday an interview with Bob Proctor made by Natalie Ledwell. She is the founder of Mind Movies, best-selling author and host of the online TV show, The Inspiration Show. But what’s even more intriguing is that in the video she tells the private insider story of how she and her partner, Glen, went from “down and out” down under in Australia, to living the life of their dreams in California. Actually I know them from 2009 so their story is real. And let me tell you, it was a remarkable, rocky and downright exciting adventure! Plus, just for watching, Natalie’s throwing in something really special. cover the most important areas in your life! •	(And last, but certainly NOT least) Wealth Abundance! You see a Mind Movie is the ultimate visualization tool combining motivating music, positive affirmations and inspiring images, allowing you to manifest your best life in just a few short minutes a day! My advice? Go watch the fantastic video Natalie’s created and grab your free gift at the same time. If you’re anything like me, you’re gonna love it.